Right now it feels like “Teaching My Baby to Read” is withering from neglect, but I promise I have a good reason for my lack of posts. On June 14, 2016 my young adult novel GENESIS GIRL will be published by Month9Books. GENESIS GIRL is YA Sci-Fi about a teenage girl named Blanca who has never been on the Internet. Her lack of a digital footprint makes her so valuable that she gets auctioned off to the highest bidder. One of the inspirations for the premise of GENESIS GIRL was my experience as a mommy blogger. When I first started “Teaching My Baby to Read” I shared pictures of my kids as well as frank details about their lives. After a few months of that, I became nervous. I wasn’t afraid so much of crazed killers hunting us down as I was of my own children growing up and accusing me of exploiting their childhood for blogdom. Anyone who follows mommy blogs has seen other bloggers do this. Sometimes it seems like bloggers spend so much effort posting about their lifestyle/homeschooling/lunch-packing/mommyhood/ empire that I wonder how much time they actually spend living that supposedly perfect life with their kids. Well, now I just sound mean. I don’t intend to be rude or snarky, but it does feel like privacy is gone, and that parents are the worst offenders when it comes to plastering pictures of their children all over the web. In GENESIS GIRL Blanca goes to the other extreme. In order to never have her picture on the Internet at all, she lives her life in hiding, and only reveals herself to the public at key moments that she (or somebody else) can control. The irony is that in order to build up my author’s platform in preparation for this book launch, I’m online 24/7 talking about books on The YA Gal Facebook or posting pictures on my Instagram account @the_ya_gal. Meanwhile, a lot of the time I used to spend creating new Afterschooling adventures for my kids has been sacrificed. We’ll need to pack in the extra learning this summer. In the next few weeks my Internet presence will crank up even more. Booktube, blog tours, bookstagram … GENESIS GIRL will be everywhere. It’s taken me eight years to become a traditionally published author and I’m giving it everything I’ve got. Mommy Blogs scare me, and I say that having blogged for four years. Once you write something on the Internet, it is there forever–even if you delete it. No post is worth hurting your child’s feelings. No amount of “likes” or “followers” makes up for a positive relationship between yourself and your child. As my life continues to bleed over into the public sphere with my newspaper column, book deal, website, and Instagram, Twitter, Facebook and Tumblr accounts, I’ve reigned back on what I share about my children “Bruce” and “Jenna” who are now 10 and 6 years old. I know for many of you, Teaching My Baby to Read has been a source of lesson-plan ideas and a vehicle to connect with other parents who are equally committed to education. I am thrilled every time somebody emails me or leaves a positive comment. Parenting can be isolating, and for me, blogging has been a way to share what I learned as a teacher and a parent. Now, I’m in a tough position because there is so much about education I still want to share. I want to tell you about Bruce’s life in fourth grade, or Jenna’s experiences in Kindergarten. I want to tell you specific data about how they are succeeding academically, or in some cases, falling behind. I want to share how I feel burnt out after approximately 1,800 hours of Afterschooling. I want to explain why, after all these years, I’m more committed to Afterschooling than ever. But at the same time I want to protect the sacredness of my children’s privacy for what little bit of childhood they have left. The years go by so fast. I blink and another school year is gone. Can you teach your baby/child to read? Yes. Here’s how. Can you make math fun? Absolutely. Check these ideas out. Did my ideas work for my own children? You bet–even in the face of giftedness and a potential learning disability. Both my kids were reading ahead of grade level by the end of Kindergarten. When I first started blogging I wrote new posts every day. Now I barely post once a week. That’s mainly due to of self-censorship. It’s also because I’ve shifted my focus into studying Young Adult fiction. 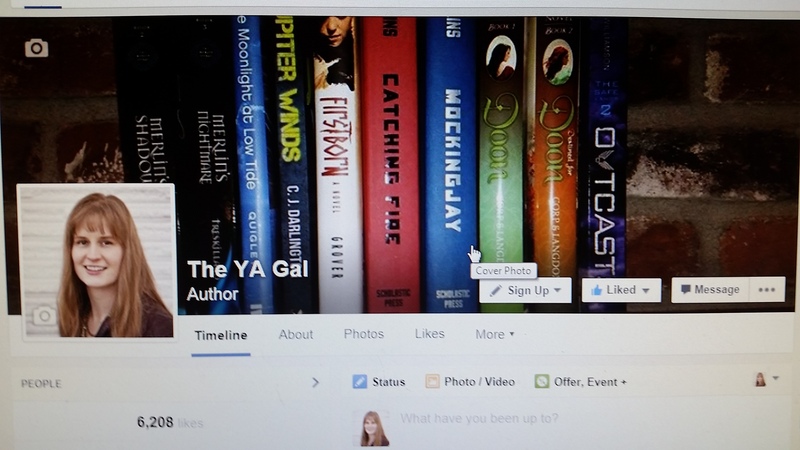 If you are a parent of a teenager who struggles to screen what your kid reads, please check out my website The YA Gal or my YA Gal Facebook Page. You can always ask me the “clean-teen” rating of a particular book, and if I haven’t read it one of my YA Gal followers probably has. I am still blogging. I am still here. I’m just a lot more careful about what I share. If you’re a parent you know life can get so busy sometimes you don’t have time to take a deep breath let alone write a blog post. It’s doesn’t matter if you work full time in the workforce, or are a SAHM, your plate fills up fast. But sometimes the universe tells us we need to take a break. In my case, literally. March 27, 2014 Good news: learned how to do spins in ice skating lessons last night. Bad news: fell and broke my wrist during free skate with my daughter. Am now in splint and counting minutes to next V. Go to ortho on Monday for cast. Got great people taking care of me and kids. March 28, 2014 I have decided I am done with capital letters unless autocorrect helps me out. March 28, 2014 Television has become really confusing. Couldn’t follow plot of modern family or new girl. Not sure my comprehension skills are all there at the moment. March 30, 2014 I don’t know how this is possible, but my spelling is getting worse. either I’m having decreased blood flow to my brain, or my left hand was a lot smarter than I thought! I’ve got a Cabbage Patch hand! My arms are now two different sizes! I’d like to say I’ve learned my lesson and now relax and enjoy life a whole lot more. But the truth is that I’m as busy as ever. I’ve got a YA book coming out next year, a weekly newspaper column, and a Facebook Page called The YA Gal that is a whole lot of fun. A couple of weeks ago I joined forces with fifteen other 2016 authors and founded Sixteen To Read which is tremendously exciting. Then there’s all the “mom stuff.” I volunteer in two classrooms, lead my daughter’s Daisy troop, and am treasurer of a parent group similar to the PTA. Here’s a great idea from my daughter’s Kindergarten teacher: a lesson on informational writing. First she read the kids several “how-to” books and discussed the difference between fiction and nonfiction. Then she launched writer’s workshop. Give the kids three choices to write about. How to plant a seed. How to make a sandwich. Offer rectangular pieces of paper already divided into four sections. Let the children use words or pictures to create their how-to writing. In a classroom setting, there will be kids at every ability level. Some will be able to write sentences, some will express their ideas in pictures. In an Afterschooling setting, this lesson works well too. A four year old could draw pictures while an eight year old writes paragraphs. See why I was impressed? My daughter’s Kindergarten teacher rocks! November 11, 2014 11:14 pm / 6 Comments on Exciting News! I’ve waited years to write this post. Today, Publishers Marketplace announced my two book deal with Georgia McBride at Month9Books. BLANK SLATE will release in 2016 and is about an 18 year-old girl whose lack of a virtual footprint makes her so valuable that she is auctioned off to the highest bidder. The sequel will come out in 2017. Here’s the link to my brand new author page at Month9Books: http://month9booksblog.com/authors/jennifer-bardsley/, my new Facebook page: The YA Gal, and my new homepage: http://jenniferbardsley.net. I’ve got so many people to thank that my acknowledgement page will be a mile long. But none of this would be possible without the incredible dedication of my literary agent, Liza Fleissig, of the Liza Royce Agency. I’ve wanted to be an author since I was 11 years old. On this blog I’ve talked about the importance of empowering our kids to become resilient. This is a lesson I hope to teach my own children by example. Three blogs, five manuscripts, 100+ “I Brake for Moms” columns in The Everett Daily Herald; I’ve put in 10,000 hours of writing and my family knows what this dream has cost. In 2016 there will be an author box in our family library with my name on it. I hope when 2016 comes, you’re still with me. I hope you love my book and write glowing reviews on Amazon and Goodreads. I hope you tweet about it to all your friends! In the meantime, my mission for Teaching My Baby to Read remains unchanged. My dream is to spark a national conversation about how massive parental involvement is the key to high quality education. Resiliency will make it happen. Thank you from the bottom of my heart for your readership. Just Sayin’: Write ‘Em, Draw ‘Em, Hide ‘Em in Your Heart by Carol McAdams Moore is a 90 day devotional for modern girls. The format is simple; for each entry there’s a Bible verse and one or two opportunities to respond through doodles, artwork or writing. A plus for me as a United Methodist is there is very little editorializing of the verses. This book doesn’t push one particular religious dogma down kids’ throats. I was however, a little bid disappointed in some of the verses Moore chose to include. Some of them seemed taken out of context. Do I really need to explain the woman at the well to my young daughter? I don’t know; that’s probably a personal parenting choice. But still, nothing was too “out there” for my five-year-old. I realize that my daughter is probably younger than the target audience for this book, but she LOVES it. She is very committed to finishing every last page. Part of her enthusiasm comes from watching her brother get Moore’s devotional for boys, Dare U 2 Open This Book: Draw It, Write It, Dare 2 Live It , first. All in all, I’m impressed with both books. You can find my review for Dare U 2 Open This Book: Draw It, Write It, Dare 2 Live It here. P.S. I received a free copy of both books from BookLook in exchange for my honest opinion and review. Mom is a silly goose. “My kid writes upside down and backward!” Should you freak out? Answer: Is your child mid third grade or older? Then yes, be concerned and look into it. Younger than third grade? Don’t sweat it. My daughter is a classic emergent writer. All of the pictures in this blog post come from the past two weeks. I didn’t help her spell or write anything. The words come from her 5 year-old brain. I’m sorry for being mean to mom. ??? Uncle Steve. You are nice. Here she starts writing in the middle of the page, but runs out of room for [with me] so she adds “wis me” at the top. God is at Grammy day with me. Here she starts at the top left–yay!– but then decides to go right to left again. A bee is just right. I wasn’t present when she wrote this one so I’m not 100% sure what it says. It looks like another bottom to top piece. I want to do bedtime with me. I’m a certificated, experienced K-4 teacher, and I’m telling you, this is what normal looks like for four and five year olds. So if your child is writing like this too, don’t freak out and think your child has a learning disability. And Remember! By winter of third grade, if your child is still doing reversed or backwards letters, that is the time to seek evaluation for a possible learning disability. I’ve consulted dozens of teachers on this, and that is the general consensus. By the end of third grade, backwards letters should be gone. I love-love-LOVE this new handwriting paper I’m trying out with my five-year-old daughter Jenna. It’s called Smart Start K-1 Story Paper and I bought it from Amazon. Learning how big to make each letter is really complex. At school, teachers need to use the cheapest paper available. But at home I can afford to buy a higher quality paper to make life easier for my child. Enough practice with me in the afternoon, and Jenna will remember “Start at the Sky. Pull down to the ground. Lower case letters like the fence,” when she’s working at school. My goal is for Jenna to work on handwriting 20 minutes a week. For more ideas for Afterschooling a half-day Kindergartener, please click here. For more ideas about handwriting, check out my Pinterst board. Cherish the moments and record the memories with two special journals for kids. What a happy delight! Seattle based Sasquatch Books sent me two beautiful journals for children: The Next 1000 Days: A Journal of Ages Two to Six by Nikki McClure and This Is Me: A Girl’s Journal by Julie Metzger. I was really impressed by each book, both as a parent and a former teacher. The Next 1000 Days is full of pictures, captions and blank space. There are about 23 pages for each age. When children are younger, parents can document favorite foods, books read and new words and capabilities. Once kids get older, they can use newfound literacy skills to take ownership of the remaining pages and to read what Mom or Dad has already written. My own self-portrait from 1982. Capturing a child’s emerging handwriting is so much fun and The Next 1000 Days is a great way to do it. There are also special places for self portraits. This Is Me: A Girl’s Journal is for preteens and up. It has a wide variety of prompts too. This is excellent because blank pages can be really intimidating, especially to emergent writers. Some kids do fine with traditional diaries, but often times a question, checklist, or space to draw a picture can really garner a better response. This journal has the perfect balance between open-ended and closed-ended responses. It is also colorful and pretty; important attributes for a girl audience. Unlike a lot of diaries you see for kids these days–diaries based on popular characters– there’s nothing gimmicky about This Is Me: A Girl’s Journal and it won’t turn your children into products of advertising. I definitely appreciate that. My niece is heading off to Girl Scout Camp next week and I’m going to mail This Is Me off to her just in time. This is a journal begging for a young girl’s heart! A fun writing lesson for kids about dinner? Learning Objectives: This lesson is focused on prewriting and drafting. My goal is for there to be so much scaffolding that it’s easy for kids to get their initial ideas on paper. How I’m going to activate prior knowledge: I’ll start with a brief (2 minute) discussion on what dinner is like at their houses. There’ll be lots of opportunity to complain about their moms’ cooking! Materials: “Farmer Boy” by Laura Ingalls Wilder, “A Pizza the Size of a Sun” by Jack Prelutsky, and Who wants to eat princesses, anyway? by yours truly. Also, paper plates, markers, pencils, papers and two cans of soup for props. A fun way to prewrite. The Plan: I’ll show the kids my plate chart, and perhaps draw a giant one on the board. Then I’ll read small experts from each piece of writing; a chapter book, a poem, and a newspaper column. After each reading, I’ll show how that gets organized on the plates. Of course, Laura didn’t really write this all by herself. Thank you Rose Wilder Lane! From “Farmer Boy”: From the chapter “Winter Evening”, the two paragraph description starting with “Almanzo ate the sweet, mellow baked beans”. From “A Pizza the Size of a Sun”: The poem “My mother makes me chicken”. From “Who wants to eat princess, anyway?”: Just a few lines about eating Cinderella vs. eating Agent P.
After the readings: The body of the lesson will be kids getting the plates and organizing their own ideas. This is called prewriting, and I’ll walk around the room and help. After about 10-15 minutes of prewriting, we’ll move on to drafting. I’ll pass out some notebook paper and let them start writing. If we have time, kids will share what they have written during the last five minutes of the lesson. What about the 5 Step Writing Process? : That would be prewriting, drafting, revising, editing and publishing. I won’t have time to get to all of that in one lesson! 😦 But this will be a good start. My “I Brake for Moms” column in the Good Life section of The Daily Herald this week. You can find “I Brake for Moms” in the Good Life section. As I’ve said before, I have been enormously proud to be part of the Weekly Herald because it has been such a meaningful addition to Edmonds, Lynnwood and Mountlake Terrace. The good news is that starting next Monday “I Brake for Moms” will be in The Daily Herald which serves all of Everett and Snohomish Counties! And…um… maybe I ought to explain this picture. No, I have not suddenly joined the Seattle Mariners. But yes, I am sitting in their press room. For some reason when all 80 of us Stanford alumni were waiting for Chuck Armstrong to come talk to us a couple of weeks ago, I was the only one crazy enough to run up there and have my husband snap a picture. Of course, my husband didn’t need a picture to prove that I was crazy! Get ready to ROCK! Here is my I Brake for Moms column this week in The Weekly Herald.